The Author's Forum is part of our Friday night academy. Audio files of the author's motivation for writing the book are available below. Click on the title to listen or click "Download" to save a copy of the MP3 audio file on your compuer. The Psalms are undeniably beautiful. They are also difficult, and readers often come away convinced that tremendous riches remain just beyond their grasp. In this book, Dr. W. Robert Godfrey invites us to journey with him towards a greater understanding and love for these sacred verses. The timeless elegance of the Psalms, their depth of expression, and testimony to the greatness of God have enchanted and edified God’s people for centuries. 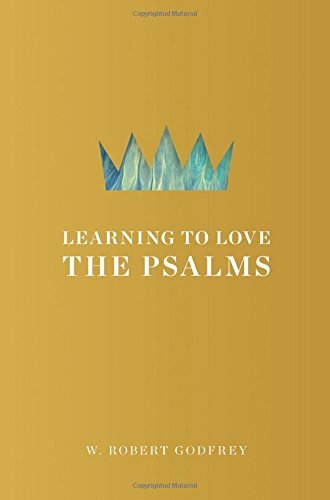 Learning to Love the Psalms is intended to help today’s Christians share in that delight. Dr. W. Robert Godfrey is emeritus president and professor of church history at Westminster Seminary California, a minister in the United Reformed Churches in North America, and a Ligonier Ministries teaching fellow. 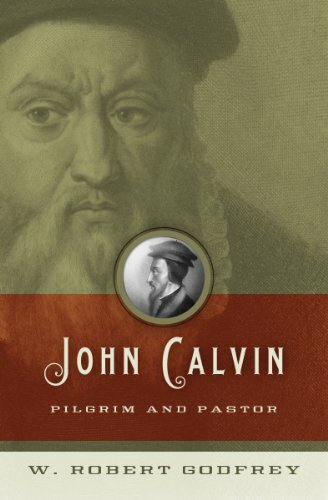 He is author of several books, including An Unexpected Journey, God s Pattern for Creation, and John Calvin: Pilgrim and Pastor. Do you know what the kingdom of God really is? What exactly is it? What is Jesus doing now? Is he ruling as King? Why was he raised from the dead? These and other important questions are answered in this accessible book on this central teaching of the Bible by a senior New Testament scholar. A deeper understanding of kingdom of God and how it has been inaugurated now in this age and how it impacts us can not help but shape our lives as Christians. The sovereign dominion of Christ Jesus our Lord in this age is our bedrock in evil times, it is our boast, our faith and sure confidence all of our days. After an introductory chapter, this book provides careful, in-depth Bible study of key passages of the New Testament in order to dig deeply into the bedrock of Scripture where our faith must be grounded. The reader will come away with greater clarity on what the kingdom is and on how to read the Scriptures in its light as the great, unifying reality of the Bible and of eternal life itself. Each chapter ends with study questions making the book appropriate for group Bible studies and classes. Advocates of the New Perspective on Paul appeal to the view that "righteousness" in biblical theology is a Verhältnisbegriff (relational concept). This is the view that "righteousness" does not mean conformity to a norm, nor is it an essentially legal concept; rather, "righteousness" denotes the fulfillment of the demands of a relationship, since the relationship itself is the norm. This relational interpretation of "righteousness" was first put forward by Hermann Cremer in 1899 and exercised a profound influence in biblical scholarship throughout the 20th century. It lies at the root of the New Perspective claim that "the righteousness of God" in Paul is a cipher for God's saving faithfulness to his covenant, a view defended by N. T. Wright, among others. Charles Lee Irons provides a critical examination of Cremer's chief arguments for the relational, covenant-faithfulness interpretation. 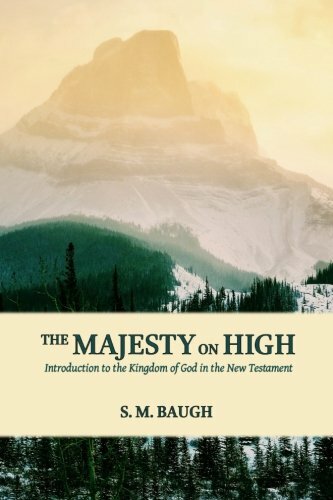 The author argues instead for the view that "the righteousness of God" in Rom 1:17; 3:21-22; 10:3; 2 Cor 5:21; and Phil 3:9 is the status of righteousness that comes from God as a gift. In a book review Professor Thomas Schreiner at the Southern Baptist Theological Seminary remarks: "To sum up, the gauntlet has been thrown down. Those who defend the covenant-faithfulness view of God’s righteousness must reckon with and refute Irons. He has demonstrated that the gift character of God’s righteousness is the view of most interpreters throughout church history. He has also demonstrated, with remarkable care and wonderful clarity, that such is the meaning in Paul’s writing as well. When finishing a dissertation like this, I couldn’t help but think, this should’ve been written a long time ago. But it hasn’t been tackled until now. 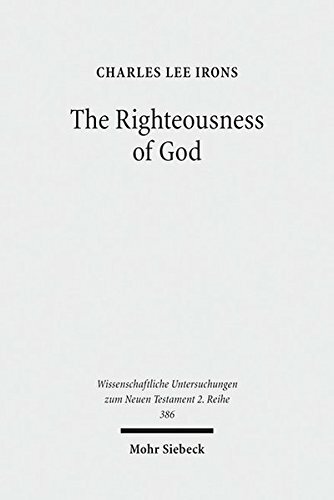 The notion that God’s righteousness is a gift given to us in Christ, and that our righteousness is an imputed righteousness, has been powerfully defended in this outstanding work." The Journal of Biblical and Theological Studies published a critical review of Dr. Irons dissertation by John Frederick. The Journal of Biblical and Theological Studies also published Dr. Irons' response. Author J.V. Fesko is an ordained minister in the Orthodox Presbyterian Church, and is also academic dean and associate professor of systematic theology at Westminster Seminary California. 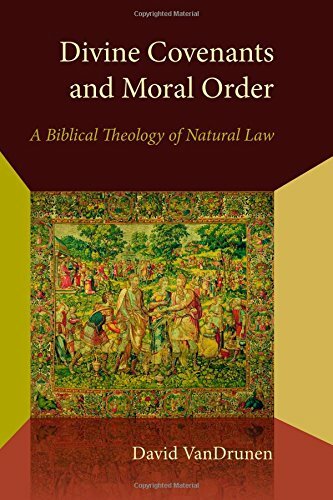 "Divine Covenants and Moral Order: A Biblical Theology of Natural Law"
This book addresses the old question of natural law in its contemporary context. 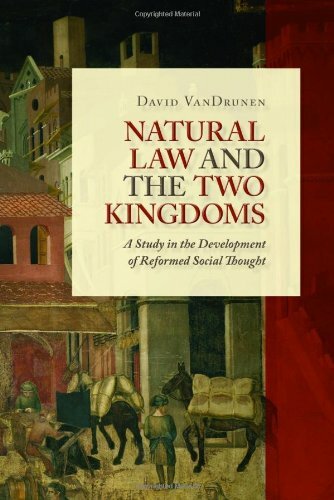 David VanDrunen draws on both his Reformed theological heritage and the broader Christian natural law tradition to develop a constructive theology of natural law through a thorough study of Scripture. The biblical covenants organize VanDrunen's study. Part 1 addresses the covenant of creation and the covenant with Noah, exploring how these covenants provide a foundation for understanding God's governance of the whole world under the natural law. Part 2 treats the redemptive covenants that God established with Abraham, Israel, and the New Testament church and explores the obligations of God's people to natural law within these covenant relationships. In the concluding chapter of Divine Covenants and Moral Order VanDrunen reflects on the need for a solid theology of natural law and the importance of natural law for the Christian's life in the public square. In a world of hype, we may buy into the idea that through Jesus, we’ll be healthier and wealthier as well as wiser. So what happens when we become ill, or depressed, or bankrupt? Did we do something wrong? Has God abandoned us? As a child, Michael Horton would run up the down escalator, trying to beat it to the top. As Christians, he notes, we sometimes seek God the same way, believing we can climb to him under our own steam. But we can’t, which is why we are blessed that Jesus descends to us, especially during times of trial. 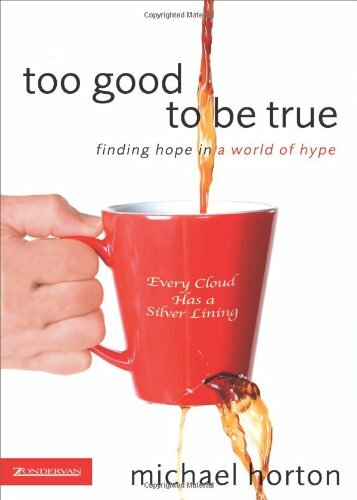 In Too Good to Be True, Horton exposes the pop culture that sells Jesus like a product for health and happiness and reminds us that our lives often lead us on difficult routes we must follow by faith. This book offers a series of powerful readings that demonstrate how, through every type of earthly difficulty, our Father keeps his promises from Scripture and works all things together for our good. This volume is the most comprehensive treatment of Olevian s theology published to date. 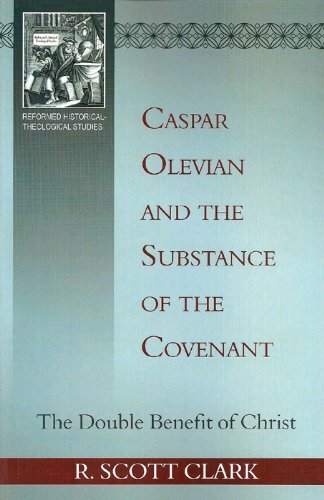 Reflecting an impressive breadth of research and depth of analysis, it delivers on its promise at the beginning to move beyond other works on Olevian s covenant thought by placing his doctrine of the covenant in context of his theology as a whole. In doing so, it offers, one might say, a duplex beneficium. First, it secures Olevian's reputation as a significant theologian in his own right and not simply as the failed reformer of Trier, the court preacher of Heidelberg, or an author of the Heidelberg Catechism. 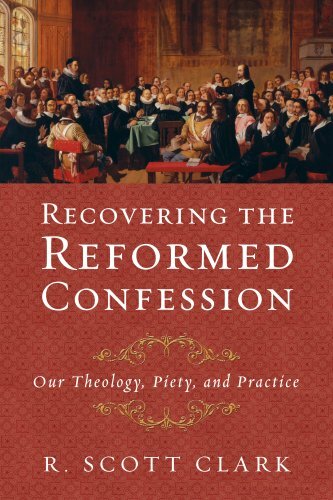 Second, it accurately identifies his place in the development of Reformed theology as it passed from the Age of Reformation to the Age of Orthodoxy. "Then I saw a new heaven and a new earth. . . . And I saw the holy city, new Jerusalem. . . . And I heard a loud voice from the throne saying, ‘Behold, the dwelling place of God is with man." (Revelation 21:1-3, ESV). 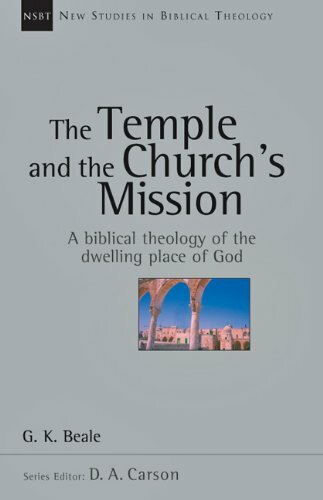 In this comprehensive study, a New Studies in Biblical Theology volume, G. K. Beale argues that the Old Testament tabernacle and temples were symbolically designed to point to the end-time reality that God's presence, formerly limited to the Holy of Holies, would be extended throughout the cosmos. Hence, John's vision in Revelation 21 is best understood as picturing the new heavens and earth as the eschatological temple. Beale's stimulating exposition traces the theme of the tabernacle and temple across the Bible's story-line, illuminating many texts and closely-related themes along the way. He shows how the significance and symbolism of the temple can be better understood in the context of ancient Near Eastern assumptions, and offers new insights into the meaning of the temple in both Old and New Testaments. Addressing key issues in biblical theology, the works comprising New Studies in Biblical Theology are creative attempts to help Christians better understand their Bibles. The NSBT series is edited by D. A. Carson, aiming to simultaneously instruct and to edify, to interact with current scholarship and to point the way ahead. In this book, Pastor D. Hyde has nicely and succinctly explained the biblical, covenantal, confessional, and historical doctrine of infant baptism. Without attacking those who reject infant baptism, Hyde shows how circumcision and baptism point to the same reality--gospel promises. He also sets forth the historical and confessional Reformed doctrine of the covenant of grace and what it has to do with baptizing infants of believing parents. 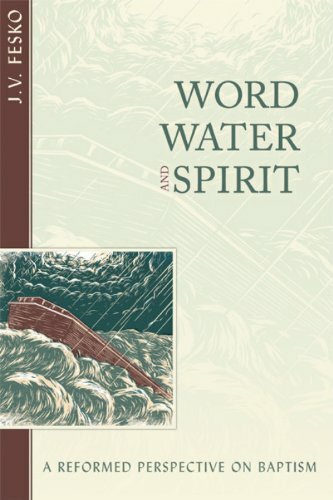 Hyde's booklet is a useful tool for Reformed Christians to strengthen their understanding of infant baptism; it is also an excellent book to give to those outside the Reformed faith who reject infant baptism. It will not add fuel to the sometimes fiery debates; rather, it will be a catalyst for patient and charitable conversations on this debate that dates back to the Reformation. 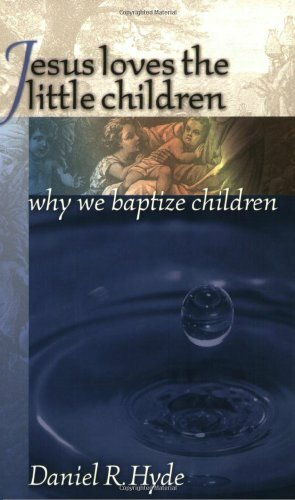 Short, sweet, biblical, confessional, historical, and practical, this book should be on your shelf if you've ever thought "Why do we baptize babies?" or "Why do Reformed churches baptize babies?" 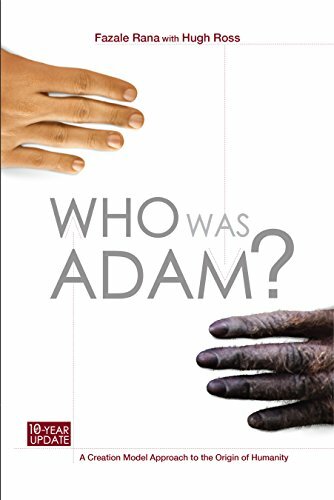 Who was Adam? Was he the result of still ongoing natural processes or a unique creation? Observations seem to validate at least some aspects of evolutionary theory, but long before Darwin a man named David discerned that there's more to humanity than nature alone can account for. In the original publication of Who Was Adam? (2005), biochemist Fazale Rana and astronomer Hugh Ross discussed cutting-edge research in junk DNA, the human fossil record, human and chimp genetic similarities, and more. They proposed a new scientific testable model for human origins. This robust 10-year update provides rigorous testing of the evolution and creation scenarios. New discoveries in genetics and paleoanthropology, especially, provide helpful evidence. How has RTB's biblically aligned model for human origins fared? Can human evolution be declared a fact? Or does a creation model make more scientific sense?